Author Name: Brisbane, Holly E.
MULTIPLE COPIES AVAILABLE!! Glencoe: The Developing Child, Student Edition [Hardcover]. Copyright-2010, ISBN:0078883601. These books are in ACCEPTABLE condition with the interior pages and binding blocks fully intact, with VISIBLE wear to the exterior covers! We ship daily, Mon-Sat. Customer service is always our top priority! 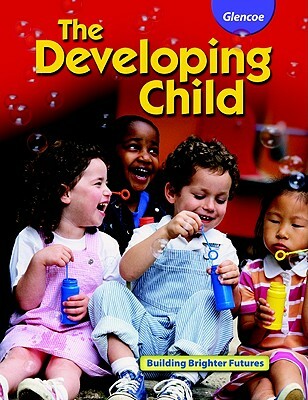 Glencoe "The Developing Child" is a comprehensive, up-to-date overview of the ages and stages of child development The text focuses on observation and scientific approach. Expert Advice tips are located throughout. Key components of child development are stressed with Developing Brain and Learning Through Play features, and activities. Safe Child/Healthy Child reminders with activities are found throughout the text. Information and activities on special needs children are integrated; cross-cultural content is included. Point-of-use academic integration and correlation (Science, Math, and English Language Arts) is provided throughout to help meet the demands of the Perkins legislation and foster academic excellence. Applications and critical thinking exercises are available with What Would You Do? and Parenting Skills features. Unit-long projects reinforce concepts through application.